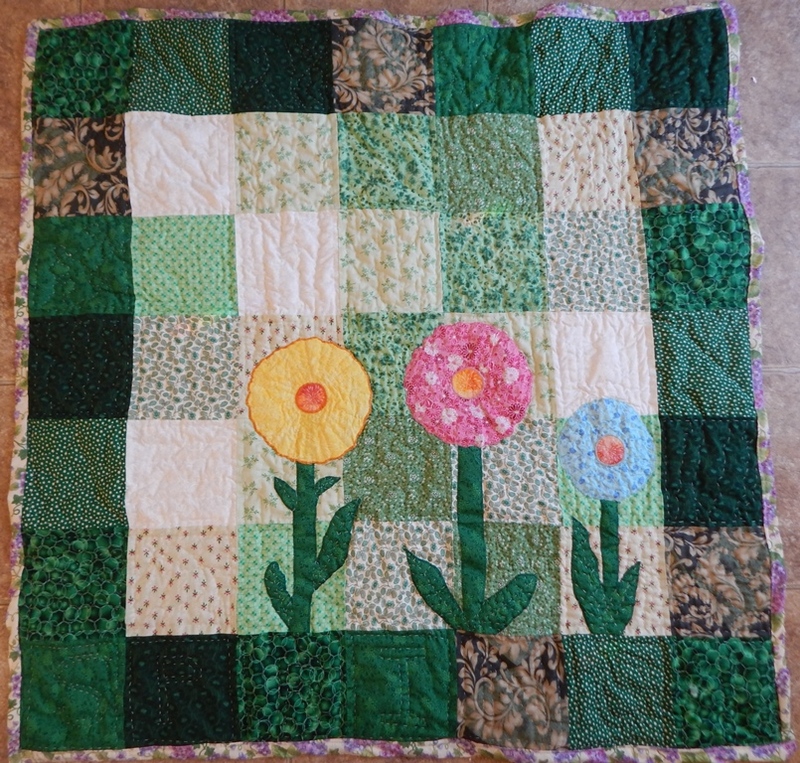 I began this, my third quilt, about a year ago, when I was sick of the cold grey winter and longing to look at greenery and flowers. It’s based on “Charming Garden,” from Sarah M. Bisel’s delightful book, Fast, Flirty, and Fun. I made a few changes from her version; I used a satin stitch to applique the flowers, omitted the rickrack, and hand quilted it. Which is probably why it took me a year to finish! But I also have great memories of working on it while cuddling up with the kids, watching movies. I chose these particular colors for the flowers because they represent my three children. 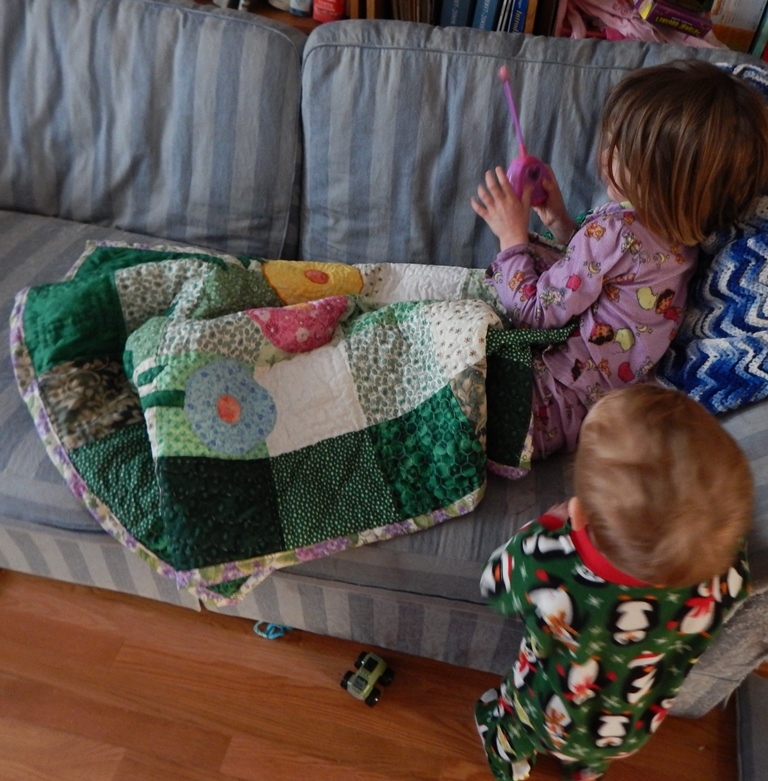 And when they saw the quilt they immediately understood the connection and knew whose was whose, which I loved. I used a lot of fabrics from my stash for this, but the binding has particular meaning. It’s a piece of the curtains that hung in the teensy weensy kitchen in the apartment where Matthew and I lived when we were first married. It has already been put to good use, on this day with the -12 wind chill (in Virginia!). 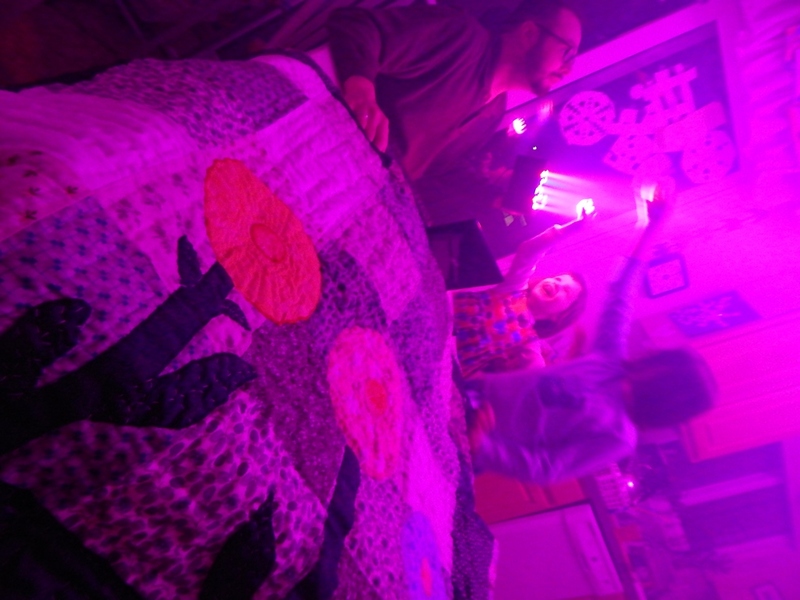 And here it is with fog and magenta lighting. Because Matthew was testing the fog machine, so why not? And this makes scrap project 5/101. 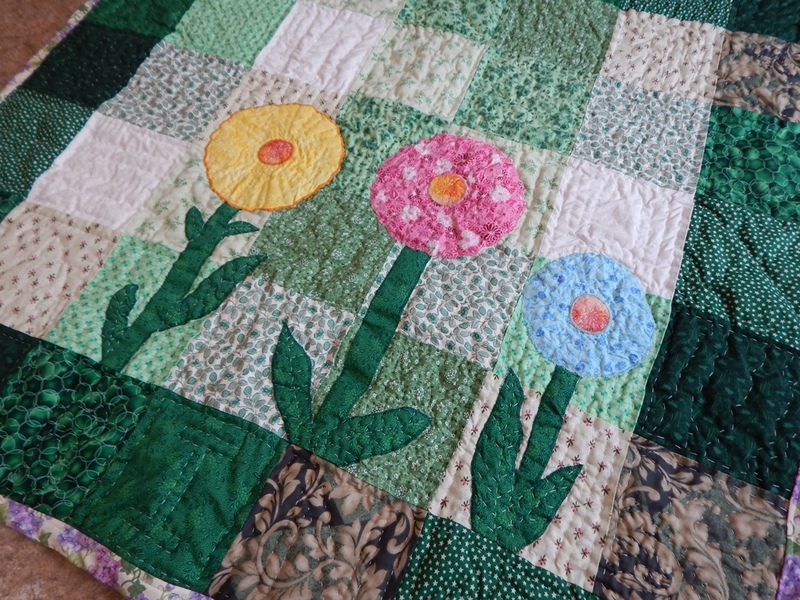 This entry was posted in Quilting, Things I Made and tagged 101 Scrap Projects, flowers, hand quilting, Quilting, sewing. Bookmark the permalink. Lovely finish and lovely photos! 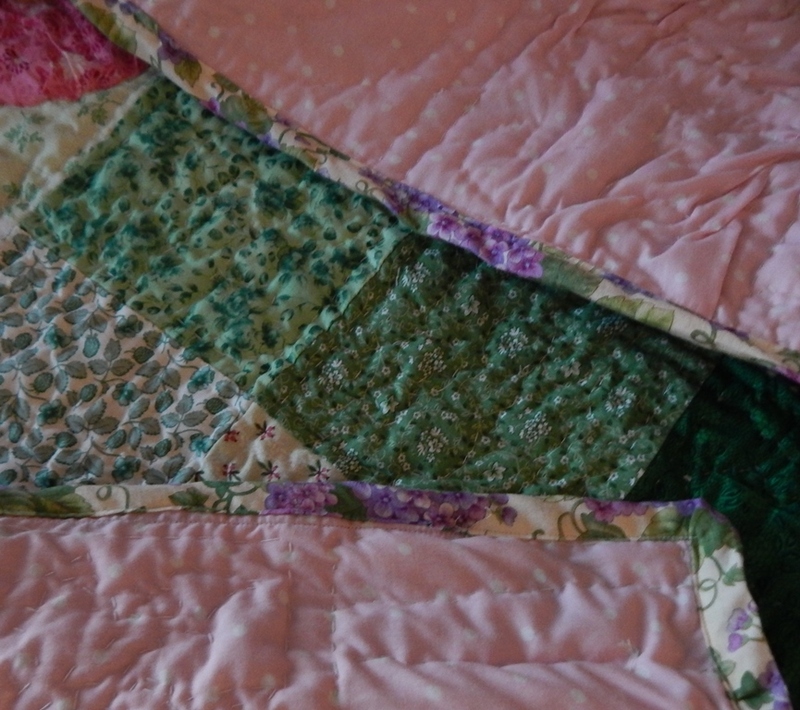 It’s great to hear the story about the binding – that’s qhat I love about quilts so much. My latest finish is made from the girls’ old pyjamas! 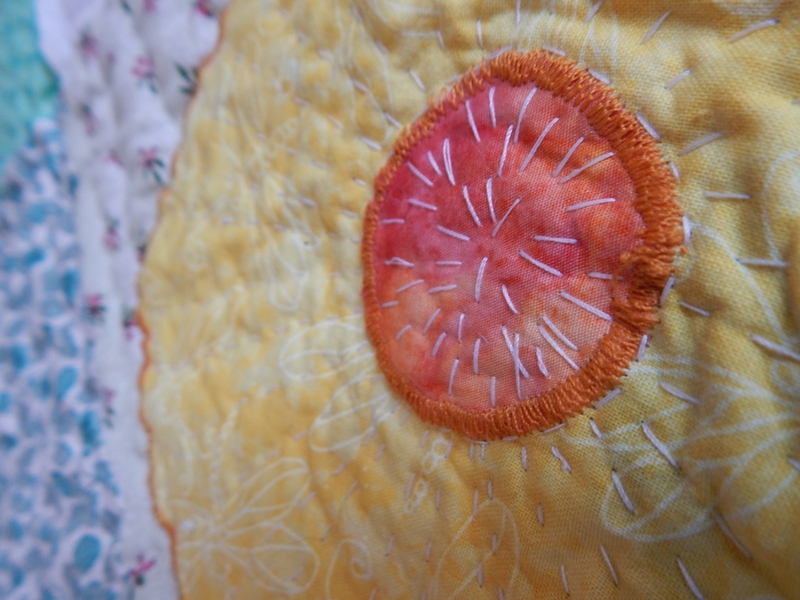 I love reading about the story behind the quilts. In addition to being pretty, yours has a really great story! I love the idea of the three flowers representing your kids! What a special memory this will be in years to come. Nicely quilted too. I love to hand sew.